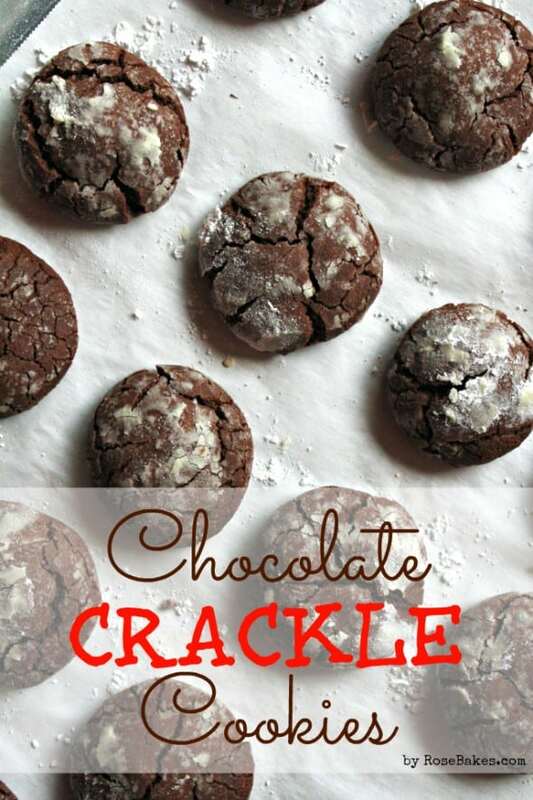 I’m gonna tell you a funny little story of how I ended up making these Easy Chocolate Crackle Cookies. I’ve told you before about my little man Asher and the trouble he gets into (like stealing cupcakes!). Well, a couple of weeks ago, I caught him up on the bar, where he had scooped who-knows-how-much Nesquik powdered chocolate milk mix into my canister of sugar. It was full at the time. Of nearly 10 pounds of sugar. Then he stirred. Which means…. it was impossible to get the chocolate out. Instead throwing out the sugar, I transferred it to a new bowl and determined that we’d just use it up an any recipe that could tolerate a touch of chocolate in the sugar. Oatmeal cookies… with a touch of chocolate? Sure! Sugar in your coffee? How about a little chocolate flavor too? Yep! It was a good plan, but it seemed it was going to take forever to use up the chocolate sugar… that’s what we started calling it! Then I volunteered to make cookies for a 4-H Fundraiser. It didn’t matter what kind… as long as I could come up with a lot of them! That’s when the light bulb went off in my head! I needed to find a chocolate cookie recipe!! And use up all that chocolate sugar! And that’s where these cookies come in! I found this recipe over on Food.com and I have to tell you – these cookies are scrumptious! I doubled the recipe and made a name change (because I like the word “crackle”) and it still worked perfectly! 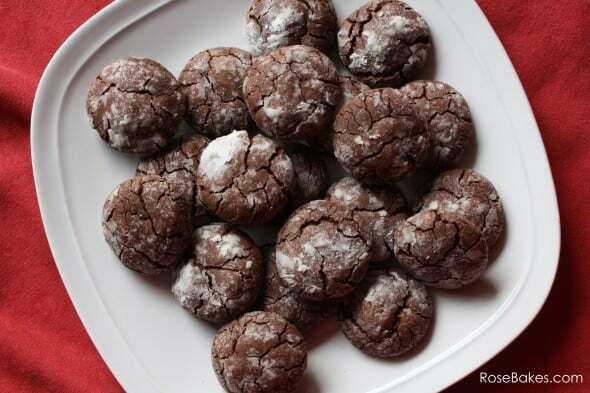 They are soft and not-too-sweet and they taste almost like a brownie… in a cookie shape! So, so good! PS. 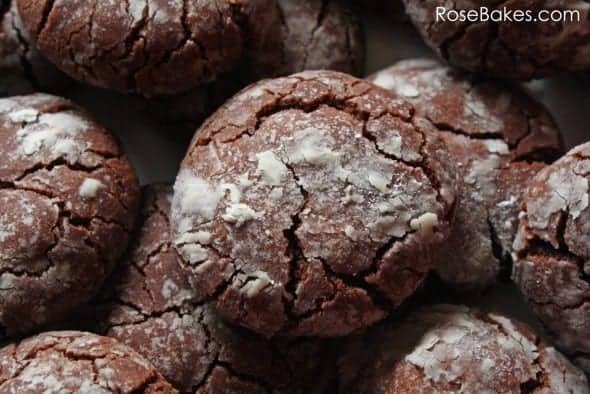 I’m pretty sure if you make them with the required regular sugar, versus the “chocolate sugar” that I used, they’d still be just as delicious! Here’s the printable recipe! Enjoy!! Preheat oven to 350°F. Line your cookie sheets with parchment paper. 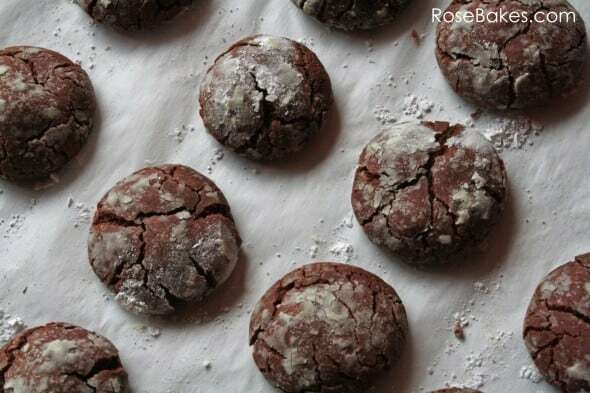 In a medium bowl, whisk together the flour, cocoa powder, baking powder and salt. Set aside. 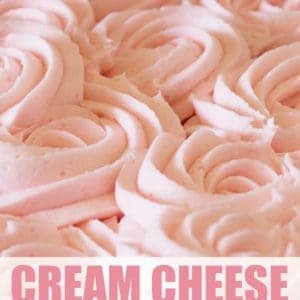 In a large bowl, add the butter and sugar and beat for about 3 minutes, until it’s very creamy. Be sure to scrape down the sides of the bowl. Add eggs, one at a time, until well-blended. Add the flour mixture and beat on low until combined well. It will be a stiff dough. Roll the dough into 1” balls. Dip them into the powdered sugar and place on the cookie sheets about 2” apart. Bake for 10-11 minutes. Allow them to cool for a minute on the cookie sheet, then transfer to a cooling rack. Eat them while they’re warm with a glass of milk!